GFP Bunny (2000) is an artwork by American artist Eduardo Kac. Alba, the bunny, is an albino bunny, genetically engineered by Kac’s collaborators, the zoosystemician Louis Bec and scientists Louis-Marie Houdebine and Patrick Prunet. Alba is white under regular lighting, but when luminated with blue light up to 488nm, she glows luminous green. The protein was found to exist in the jellyfish Aequorea victoria, and has been used in scientific study to track the movement of genes. A team of Japanese and American researchers introduced the protein into cats as part of a study on the feline form of Aids. The protein is also used in the production of GloFish, zebra fish that have GFP introduced into their genetic code. These are then sold as pets. One of the cats from the research undertaken on the feline strand of Aids, luminescing under blue light. Another art project that used luminescent material to highlight dynamic movement throughout a body, in this case a body of water, was Olafur Eliasson’s Green River (1998). 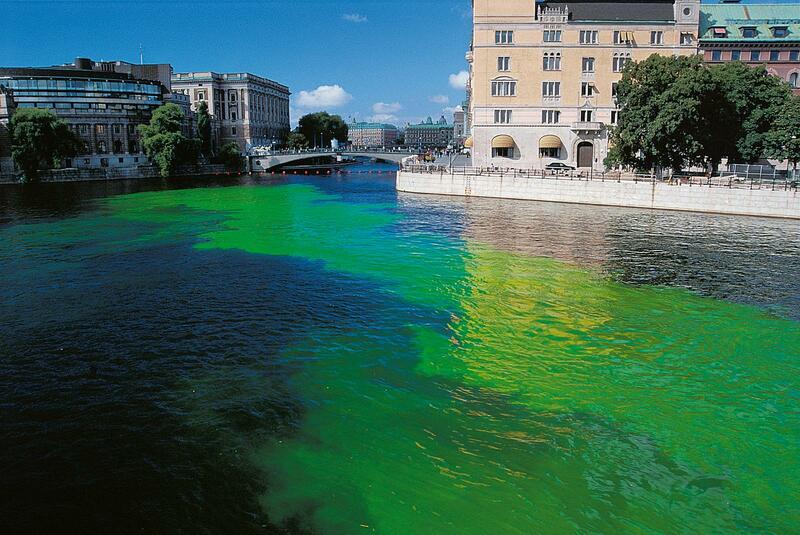 In this project, Eliasson introduced uranine, a water-soluable dye, into a number of rivers in different cities. 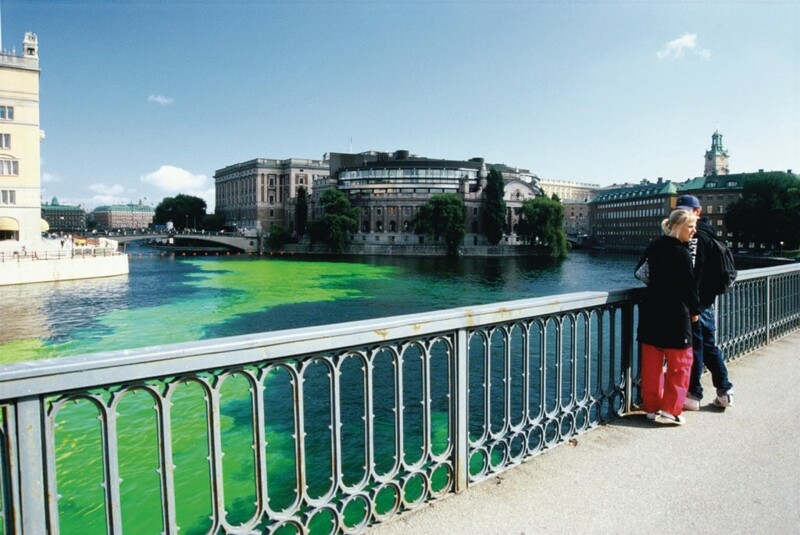 The dye made the currents with which it interacted visible to passers by, showing the dynamic intensity of the river that normally would be missed in day-to-day life. The artwork opens up in its own way the being of beings (das Sein des Seienden). In the work happens this opening, i.e. the unconcealing, i.e. the truth of beings (des Seienden). In the artwork, the truth of beings (des Seienden) has set itself to work. Art is the setting-itself-to-work of truth. In Heidegger’s famous essay on art (and things, and work) he speaks about the work of art as a working out of truth, that what is concealed is brought forth and made visible (“the unconcealing’). So lets look at these luminous examples to tease out that idea a bit. “The genetic sequence responsible for the production of the green fluorescent protein was integrated into the genome through zygote microinjection.” I am taking this description straight from the artist’s website to get the exact wording of what his action was. So, the genetic sequence in this instance is the artist’s material, and he is working collaboratively with scientists. The art object is Alba. The genetic substructure of Alba is made visible, well, made evident. But is this genetic highlighter highlighting the being of Alba, or just its own presence? Is it unconcealing Alba’s essence? Or just making its own material presence in Alba’s genetic make-up visible? We are aware of Alba’s genetic code, and the human interaction that co-produced her, but does it unveil some other part of Alba, some essential part that otherwise could not be seen? But then there is no other Alba that this work is interacting with, this is Alba, she was born fluorescent. However, that genome did not always include the elements required for the emergent fluorescent-green Alba. interacted with and added to, the not-yet-formed bunny with which he introduced a not-yet-green pigment. 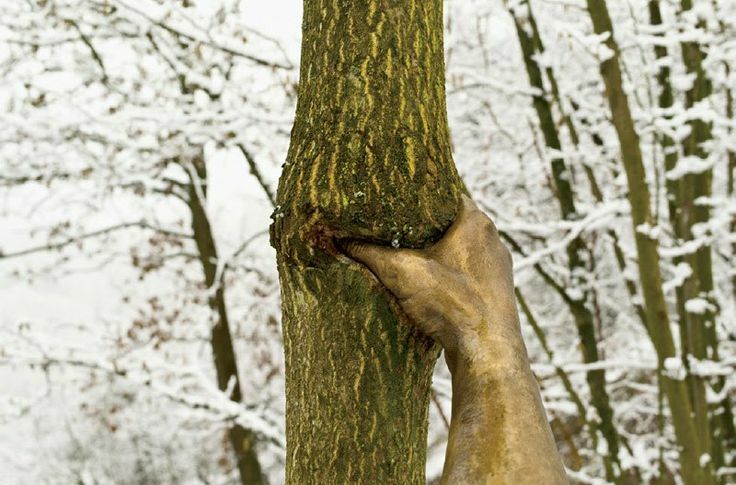 In this respect it is a little like Giuseppe Penone’s Continuerà a crescere tranne che in quel punto (It Will Continue to Grow Except at this Point) (1968-1978), in which a steel (and later bronze) cast of the artist’s hand interacts with the tree it clasps over time. These works both include a morphogenetic element in their composition. Both of these artworks happen at the interface between action and response, they develop over time. Eliasson’s Green River can levitra lowest cost also be viewed in this way, the work happens at the interface between the water-soluable pigment and the currents in the river. The interplay is where the artwork occurs, the dynamic qualities of the water’s movement are made luminous to the human eye in its interplay with the green pigment. 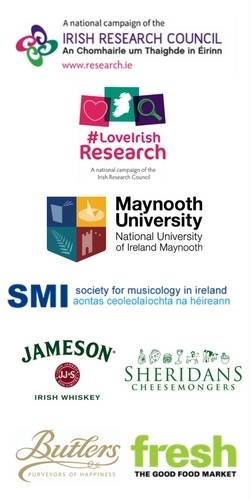 Each of these artists makes visible their own presence in their chosen situation; the trace that they have left by interacting in the first place. In this process, the trace outlines the surface of the thing it interacts with, making a luminous material interface. The tree’s growth is shown as quite fluid, we can see the trace of the fingers acheter viagra in the bark and the movement of the growth of the trunk in this area. The green pigment runs alongside the currents of water, dispersing from vivid green density into a more and more opaque water/dye interface, until we can no longer trace where the dye has gone. Kac’s rabbit stares out at us (sideways), pink-eyed, green, luminescent Alba. This material interface is happening below the surface, at a genetic level. 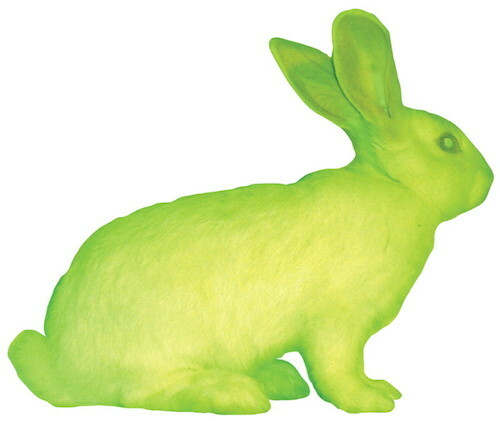 What we are shown in the photograph of GFP Bunny is different to the documentation of Green River, in this we are not seeing the intermingling of the introduced genetic code with https://www.acheterviagrafr24.com/vente-viagra/ the other genetic code, but its expression in the appearance of Alba’s fur and eyes. 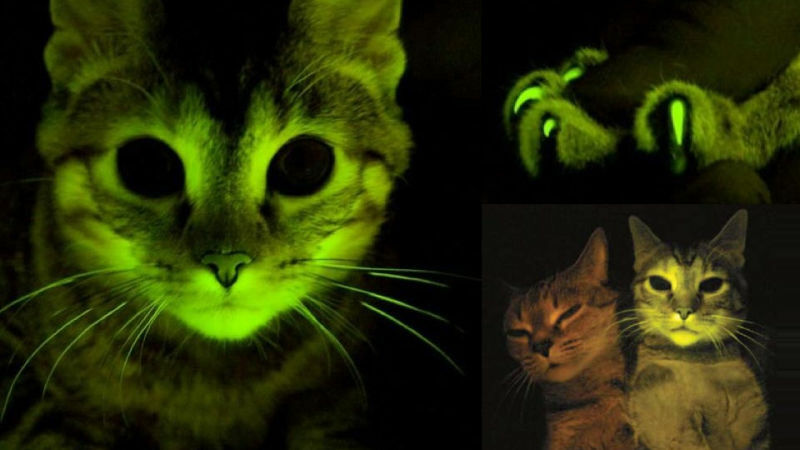 The artist’s material, the genetic code responsible for producing the green flourescent protein, cannot be located and separated by eye from Alba. 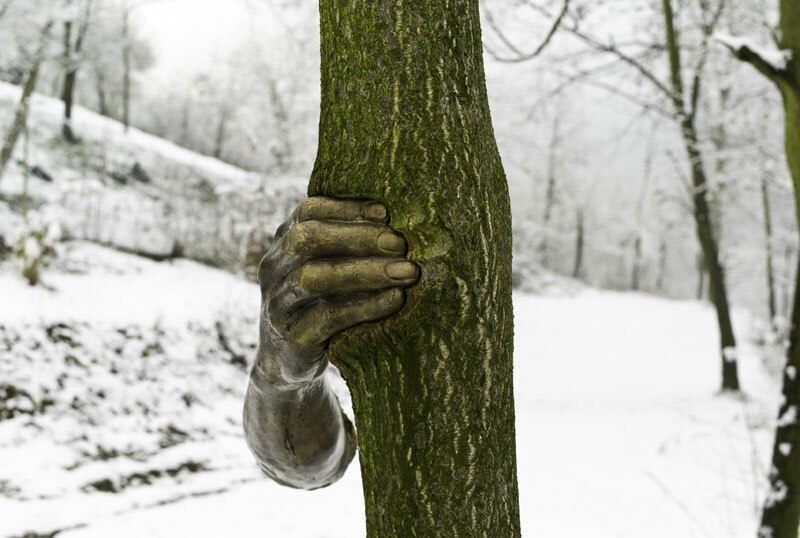 What we are presented with is a hybrid, where the components are not visible, the equivalent of Penone’s tree after it has surrounded and engulfed the bronze hand, so that we have a ((hand))-tree and a ((genetically modified))- fluorescent bunny. Invisibility is made visible as the green of Green River is drawn out by hydrogen-hugging oxygen, rolling between currents, thinning, twisting and becoming opaque. A new hybrid river, a neon light-sensitive bunny, a pot-bellied tree.